It's the WHATSIT BAG !! When I first displayed these bags, someone asked me -- "What's it for?" -- Hence the name on this pattern. 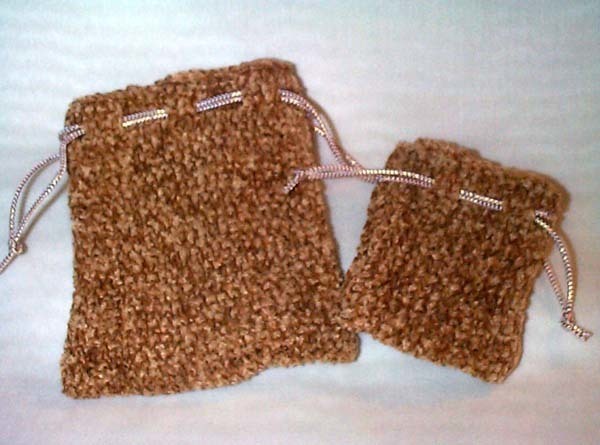 Make them in a wide variety of sizes, fibers, styles, ANY machine can do these. 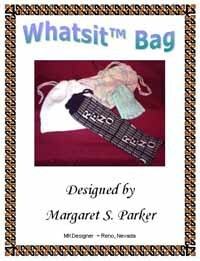 It's a very quick and easy drawstring bag for any occasion. If you have a punch card machine or an electronic with built-in designs, they are perfect for these types of drawstring bags!